The album, composed of best tracks from early DIY-releases by Zimmer‑G. The correct pronounciation of the title is English but it looks exactly like Peace to the World in Russian. This music was recorded in the period between 2001 and 2006, making Mupy Mup a collection of the best tracks from the two unofficial albums released at that time. Aside from several tracks that appeared on some compilations, this material was not presented to the general public before, residing within circles of friends. Light, fair sadness is what distinguishes this release. A kind that comes when we look at an old photo album. A good feeling burdened by the fact that past cannot be reverted. However, the music carries a faint optimistic hint at the same time. Situations this music suits depend on the listener’s temper  it may complement someone whos falling asleep or provide an unobtrusive background for work. According to the composer, the only place this music does not belong to is a dancefloor. 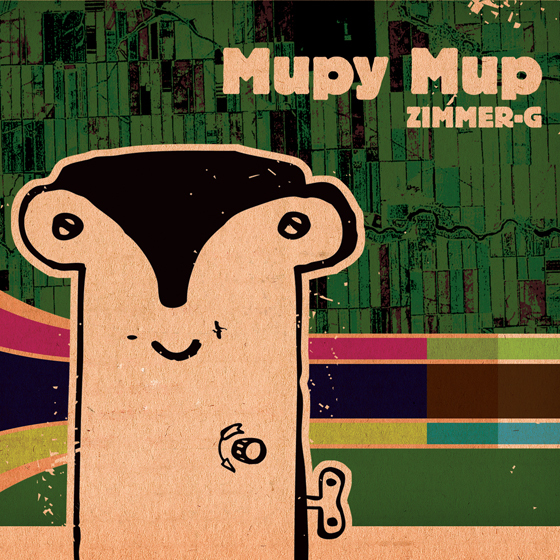 The name Mupy Mup comes from a popular in the 80s Soviet slogan (Miru Mir!), and this association is supported by the extensive use of samples from Soviet movies. A kind of transliteration gives us a mysterious Mupy Mup  a fantasy land from the musician’s childhood, that special place in his soul that keeps fairy tales and pleasant, naive experiences. Characters who live in this land are depicted on the album cover.